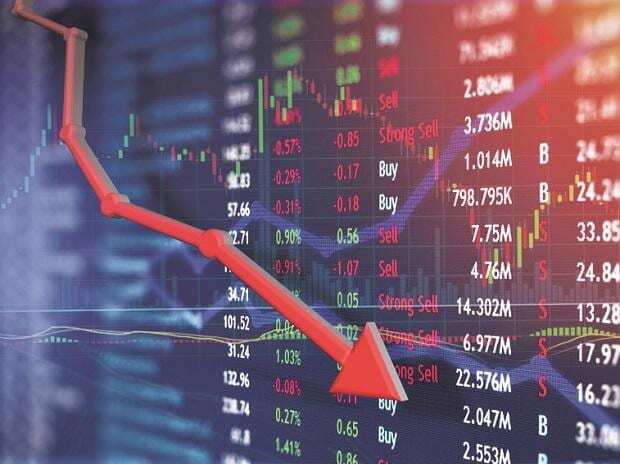 The combined market valuation of six of the 10 most valued companies slumped by Rs 38,152.86 crore last week, with Reliance Industries Ltd (RIL) taking the steepest hit. While Tata Consultancy Services (TCS), RIL, HDFC Bank, HUL, ITC and HDFC suffered losses in their market capitalisation (m-cap) for the week ended Friday, Infosys, SBI, Kotak Mahindra Bank and ICICI Bank made gains. HDFC's valuation took a beating of Rs 1,501.96 crore to reach Rs 3,38,933.58 crore and that of ITC fell by Rs 1,469.63 crore to Rs 3,43,832.17 crore. The market cap of HDFC Bank declined by Rs 1,400.54 crore to Rs 5,75,922.41 crore. In contrast, ICICI Bank added Rs 2,906.87 crore to its valuation to reach Rs 2,35,444.07 crore. SBI's valuation went up by Rs 2,722 crore to Rs 2,65,506.48 crore and Infosys gained Rs 1,376.12 crore to Rs 2,88,658.41 crore. Kotak Mahindra Bank added Rs 391 crore to stand at Rs 2,37,787.86 crore. In the ranking of top-10 firms, TCS was at the number one position, followed by RIL, HDFC Bank, HUL, ITC, HDFC, Infosys, SBI, Kotak Mahindra Bank and ICICI Bank. Over the last week, the Sensex fell 381.62 points, or 1.05 per cent.